(AP) — James Fortune used to watch his children sleep in the bathtub before he lay beside his pregnant wife at night in a motel, wondering how he was going to provide for his family the next day. “I questioned God,” he recalled. The 32-year-old Fortune and his ensemble called F.I.Y.A (Free In Yahweh’s Abundance) recently released their fourth album “Identity,” which debuted in the top spot on Billboard’s Gospel, Christian and Independent album charts. He is a rising a star in the genre and has opened concerts for some of gospel’s best, including Kirk Franklin, Shirley Caesar, Yolanda Adams and Fred Hammond. The only stream of income the Fortunes had was through the singer’s part-time position as minister of music at Higher Dimension Church in Houston. But they had more bills than money and struggled to pay medical bills since they had no health insurance, they said. As a result, Fortune along with his pregnant wife and two children — who were 2 and 1 years old at the time — were evicted from their home and couldn’t afford to keep one of their cars. For the first couple of months, they loaded up in their only car until it was repossessed, which prompted them to move from one motel to another. With income flowing in and the family no longer homeless, Fortune threw himself into music, penning “I Trust You” and “I Believe,” which earned him his second ASCAP Writer’s Award in 2010. 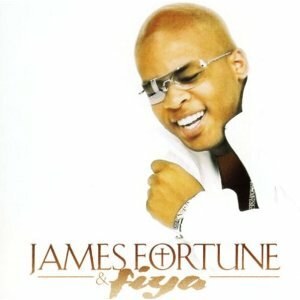 Now, James Fortune looks at their situation as a “living testimony.” For those who are struggling to find a job and may have found themselves homeless, he hopes his music and story can help others pull through like the lyrics of “I Trust You” did for him. American diet gurus claim, Cameroon Mangoes burn fat, Check it out! A humble orange and green fruit grown in the forests of Cameroon but in America, the African mango which I believe is somewhat ignored, is more than just food or an ordinary fruit. It’s now the key ingredient of a slimming pill, labelled by its makers a “wonder drug” and fast becoming the latest diet craze. It all started when Life Extension an American company selling anti-aging drugs started using an extract from the fruit’s seeds called irvingia, in a diet pill designed as an herbal alternative to more potent slimming medication. Available over the counter, the pills and their packaging promise fast results for anyone looking to cut down on excess fat without increasing exercise or cutting out food. “The reason why Life Extension introduced this product is that we were looking for a safe, natural method of weight loss for people that cannot take over-the-counter products that are existing, products with stimulants and such. So the irvingia, in the studies, it’s safe, effective and there’s no side effects. The average weight loss is 20 pounds in 10 weeks so it’s pretty impressive,” Life Extension sales manager, Patty Serino told Reuters. According to the packet, African Mango extracts help people lose weight because the active ingredient, irvingia helps suppress appetite while at the same time speeding up metabolism so the body burns food faster. While plant based medication for slimming has been used for some time with limited success, the specific slimming qualities of irvingia seem to be backed up in a study published in the scientific journal Lipids in Health and Disease, which claimed the extract helped both men and women lose an average of 12.3 pounds in 28 days without diet or exercise. Sales of the pills went through the roof when a popular American TV talk show host Dr Oz touted the pills on his program in September 2011. Since then African Mango pills have become top sellers on the diet supplement shelves in health food stores and pharmaceutical shops across the country. “A lot of the feedback has been that the African mango has been doing them very well. It helps them metabolise the fat, it doesn’t make them as hungry as it used to, and they’re feeling better on the African Mango,” said Sheryl Whaton, manager of a health food store in Los Angeles. But if the so-called super fruit has made waves on the other side of the ocean, back in Cameroon where the fruit is grown, residents are skeptical. “Mango can’t make you thin because they are fruit. People are advised to eat fruit but they will not make you thin,” said Magne, a market stall owner in the capital Douala. Cameroonians are no strangers to herbal treatments and traditional doctors and even witch craft, which still play an important role in medicine, particularly in rural areas. But while mango sellers have shown no disappointment at their product becoming hot property in the multimillion dollar global diet industry, most it seems will need more convincing before they start using the pills themselves. “Mango is a fruit; we’re advised to eat lots of fruit and vegetables combined with dietary supplements. It’s possible that they could help you lose weight but I doubt it,” said Ide Kaptchouang a cashier in a pharmacy in Douala. African mango differs from other mangos because of its seeds known locally as ‘Dikka Nuts’, which carry the active ingredient irvingia. According to Life Extension, people in Cameroon have known about the medicinal quality of Dikka Nuts for centuries but more as a herbal stimulant rather like coffee, than as a way to shed pounds.